These are both reasonably accessible distances, and add another two compelling solo swim options in New Zealand. Well done, Sarah, Mike, and team! Fabulous on so many levels. Never heard of this swim before and now..
Sooo many cool places to swim and I'm getting my eyes opened. Very cool! Love to see swimmers blazing new trails. There's plenty of water out there, folks. Well done, Martyn and team! I hear that @Webstem67 has promised to buy everyone a beer! On June 7-8, Amy Appelhans Gubser of Pacifica, CA swam 27 miles across Santa Monica Bay from Pt Dume (Malibu) to Rocky Pt (Palos Verdes). On June 10-11, Caroline Block ( @thelittlemerwookie ) swam the 55.7 km (34.6 mile) length of Cayuga Lake, New York. 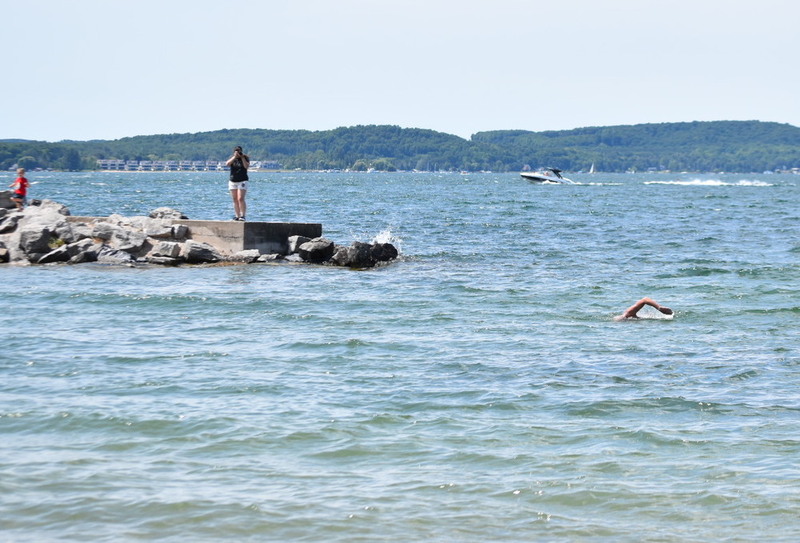 The was the first south-to-north Cayuga swim, after three previous north-to-south swims. Congrats & well swum, Caroline! Announcing four new MSF Documented Swims - all 23.8 mile (38.4 km) Lake Erie crossings between Long Point, Ontario and North East, Pennsylvania. These swims were co-ratified with Lake Erie Marathon Swimming (LEOWSA). Wow, amazing accomplishments by the swimmers and support people! These are the first trans-Wash marathon swims since Michael Read in 1976. What a beautiful lake! Congratulations, George and team! Katrin Walter swam a 52.8 km two-way crossing of Lake Zurich on August 18. This is the same course as the Lake Zurich Marathon Swim (Int'l Self-Transcendence), but double the distance. 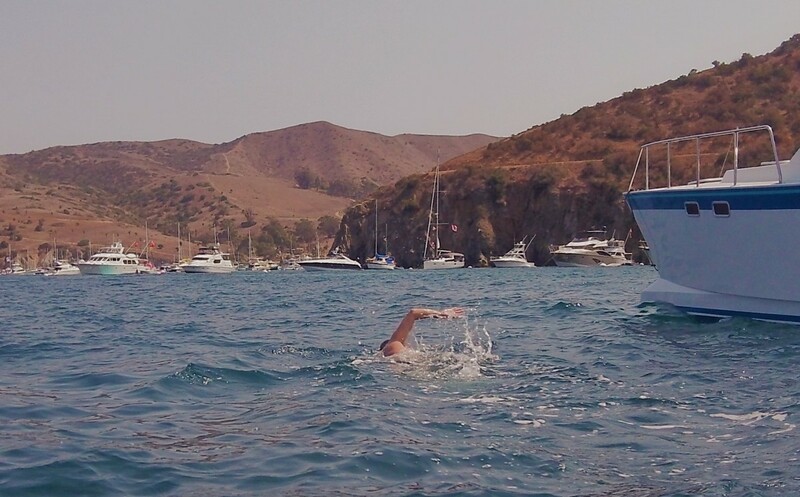 Dave Loeffler recently swam an interesting new route in a familiar location - Catalina Island, isthmus-to-isthmus. Cat Harbor on the back side to Isthmus Cove on the front side, via the west end. Jessi and her support team including Craig Stewart (observer) and Andrew Liebmann (navigator) went above and beyond to document the planning and execution of this swim in wonderful detail. Well done! What an awesome swim! Congratulations, Jessi and team! 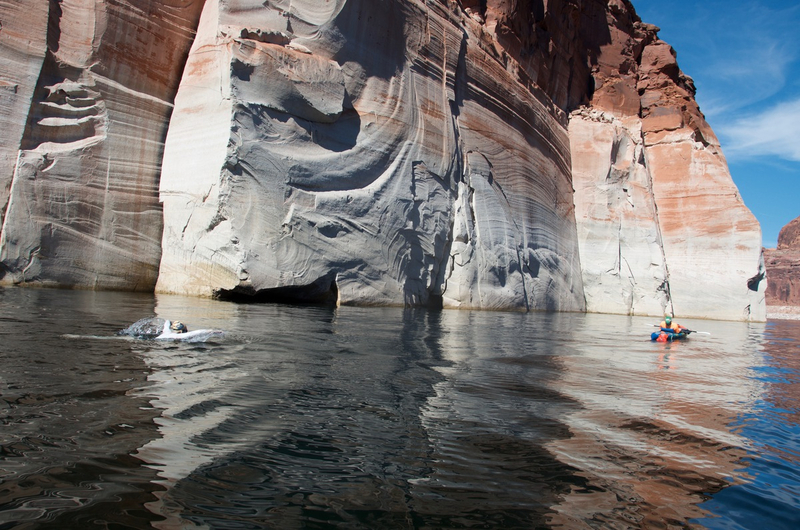 Be sure to check out the extraordinary photos and video. 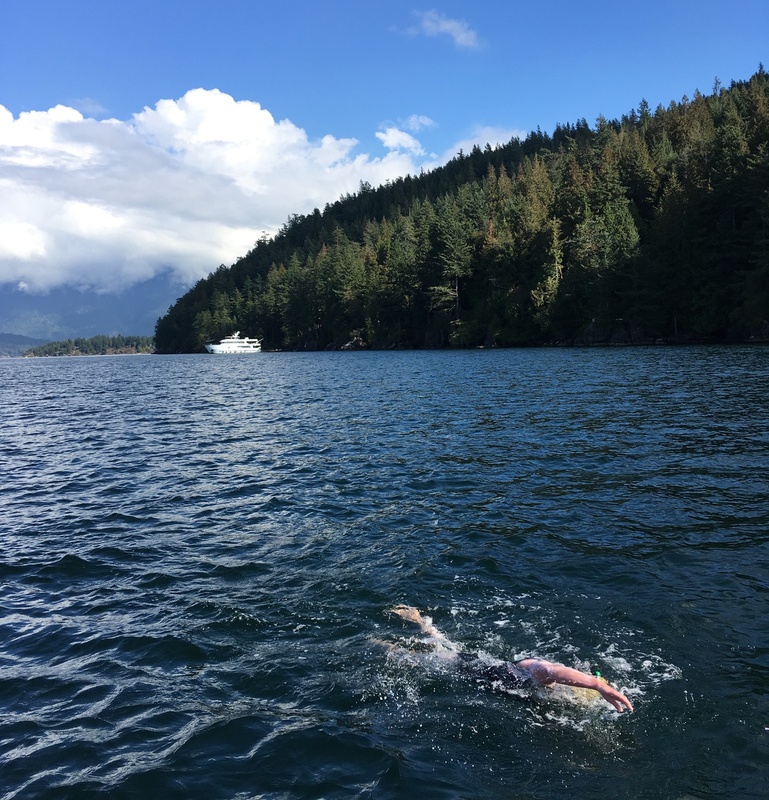 MSF Documented Swims isn't just for massive, record-breaking swims (though we've had a few of those) -- but for anyone wishing to record their feat in a rigorous, standardized, peer-reviewed format. We take equal pride in new marathon swimmers, just getting their feet wet in the sport, who make the extra effort to document. 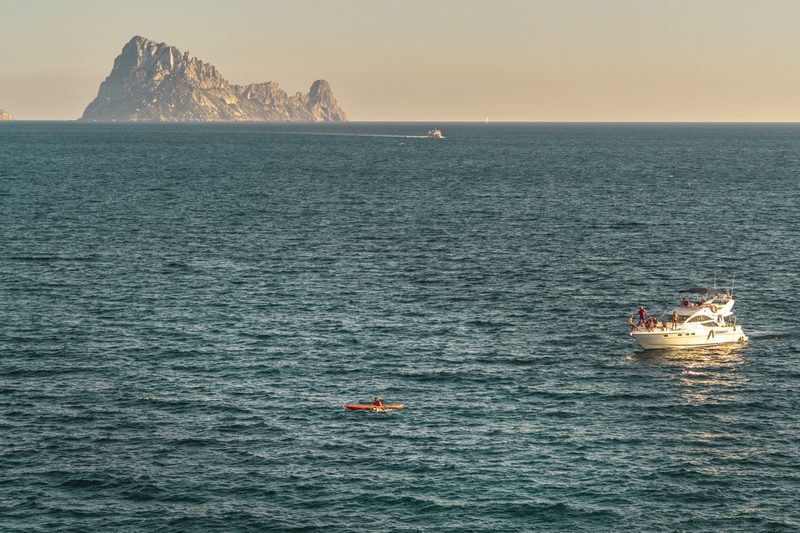 Today we announce two new Documented Swims by athletes undertaking their first official marathon swim! 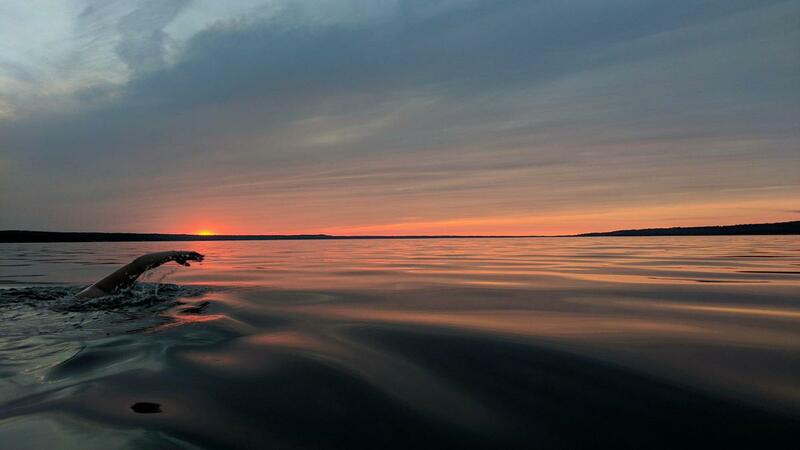 Beth Fehr swam 10.4 km around Beavertail "island" in Narragansett Bay, Rhode Island. Nick Hobson swam 31.3 km along the eastern Lake Michigan shore, from Holland to Grand Haven, MI. Congratulations and well done, Beth and Nick! Make this a book! An absolutely sensational accomplishment. The two narratives - one by the swimmer and one by the crew - are an astonishing testament to the psychological challenges of long swims (not to mention the physical challenge of swimming 28 hours of butterfly). A compelling read! Quite an honor and privilege to be a part of this swim.